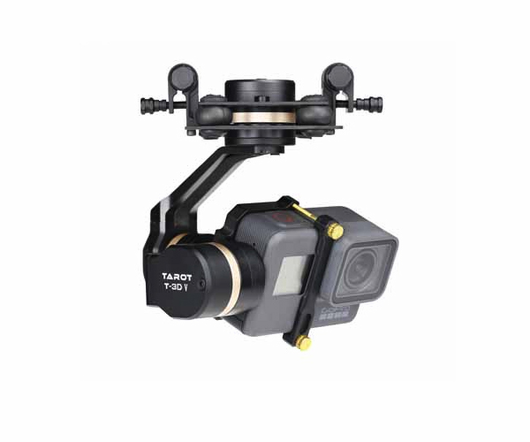 TAROT GoPro 3DⅣ Metal Brushless Gimbal is specially designed for GoPro 5 on the basis of Tarot T-3D gimbal.It integrated all the high end technology of Tarot gimbal, it adopts CNC integral structure design,which brings the light weight gimbal and stable performance. With unique internal wiring design, built-in IMU gimbal control module, specialized servo drive module, this gimbal is able to support Pan Follow (PF) mode and First Person View (FPV) mode.This gimbal can work independently. Note: Before leaving the factory, the gimbal has been adjusted to fit the camera. Based on the setup procedures, you can achieve a fabulous flight experience. Please do not adjust the gimbal or change its mechanical structure. Moreover, do not add any external component to the camera. It is highly suggested to apply to the original battery to avoid malfunctions of internal wirings or performance degradations.